Hanging in my closet is the robe and hood I wore when leading worship and preaching for many years at the church I served as pastor for 39+ years. I didn’t always wear the robe. Before air conditioning the summers in the sanctuary were too hot. Then we added a contemporary service; with a backdrop of drums and guitar the robe was not appropriate, though I still wore it in the traditional service. I’m now retired, and when I look at my robe in the closet I feel a little like Clark Kent must have felt when he came back to his apartment at the end of the day from working as a reporter for the Daily Planet newspaper and viewed his Superman costume hanging in his closet. 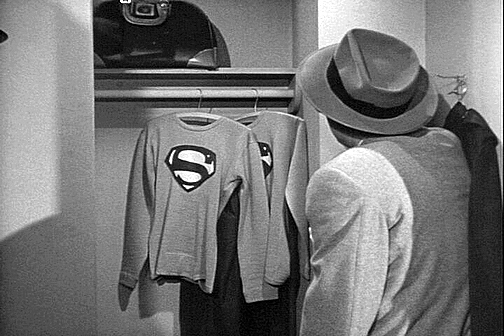 (I know, Clark was able to transform into Superman wherever he was, but in one episode we saw a Superman costume in Clark’s closet.) I no longer zoom around trying to be a super pastor; I am now living the life of a mild mannered retired pastor. OK, so we pastors know we can’t be all things to all people as pastors and please all the people all the time. 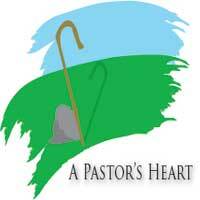 Being a super pastor isn’t our call from God, we get that, most of the time. I know, however, I was tempted to try to be that super pastor. I recall the time Marlene called me in a panic and said her husband had fallen in the garage and couldn’t get up. My office at the church was just a few blocks from their home so I rushed over there, probably had him sitting back up in a folding chair in the garage within two minutes after she called. I kidded her that I really could use a flashing light on top of my car! I’m glad I was able to help, but I’ll also admit to feeling a little bit of the super pastor at the moment. I’m thinking that once in a while we might need a couple of reminders as to why we’re to be a mild mannered pastor and not a super hero pastor. First, we know, as did John the Baptist, that Christ must increase and we must decrease. If we try to be a super pastor we’re going to inhibit people from depending on us less and on Christ more. Second, we know we can’t live up to the super hero role. Sooner or later the kryptonite gets to us and we’ll be weak and broken before our people. We may or may not wear a robe in the tradition in which we serve as pastor, but most pastors, I suspect, find themselves wearing the clerical vestments of the role. The more the clerical vestments of the super pastor can hang in the closet and the more we can be mild mannered Clark Kent the better!